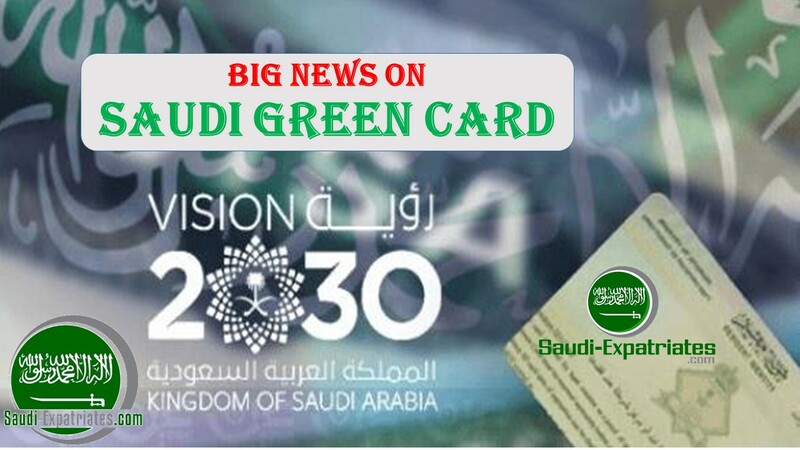 Last year in the same month(April) Deputy Crown Prince Mohammed Bin Salman broke this information of introducing green card for expatriates with various benefits, Exact after one year more details are coming out on the Saudi Green Card scheme. - Can process self and family exit re entry visas without sponsors. - KSA Green card holders will get a permanent residence and can own a home or real estate on his identity. - Green card holders have various privileges and they will get a points in order to get Saudi Nationality. - End of Iqama residence permit and Kafala system for Saudi Arabia Green Card Holders. - Expatriates with Green card can obtain visas in a short time and can easily extend their family members visa. - Monthly pension on retirement for green card expatriates same like a Saudi citizens. - Free access to the services of Government hospitals and Government educational services in similar to Saudi nationals. - Saudi Arabia Green card holders can own up to 3 vehicles (7 Seater, 4 Seater) on their own name.